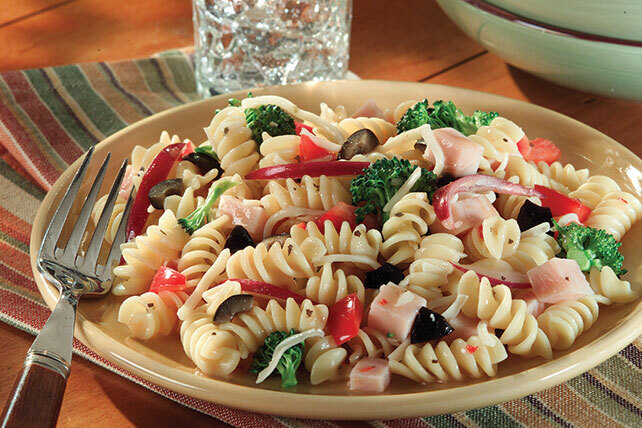 Discover our recipe for Simple Pasta Salad. This Simple Pasta Salad is filled with ingredients potluck-goers love: turkey, olives, mozzarella & red onions. Prepare using penne pasta or small pasta shells. Prepare using OSCAR MAYER Honey Smoked White Turkey.